Playtest UK: MtM Designer/Publisher Speed-Dating Finalists Announced! MtM Designer/Publisher Speed-Dating Finalists Announced! 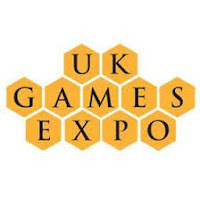 The finalists for the Meet the Makers Designer/Publisher Speed-Dating event at the UK Games Expo 217 have been announced! The event will take place at 6.30pm Friday 2nd June 2017 at the UK Game Expo. 90 mins playtesting session available to book.